Terra Beachside Villas is a three story project by Sieger-Suarez Architectural Parnership located on Collins Avenue in an area referred to as “Millionaire's Row”. Unlike traditional Miami Beach condos for sale, these residences are indeed closer to villa homes, the smallest of them boasting 1,095 square feet of living area or 3,495 square feet for one of the three story residences. 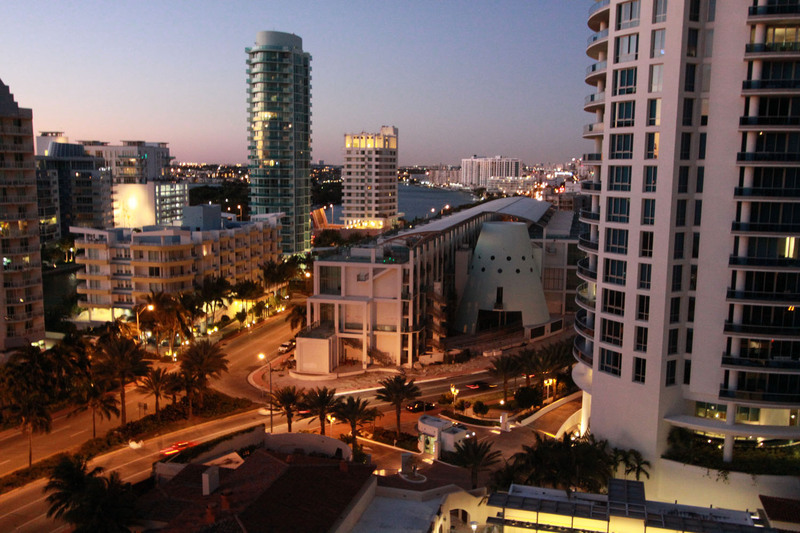 The location of the building allows residents to enjoy views of the Atlantic Ocean as well as Miami Beach various island neighborhoods. One of the most distinctive features of Terra Beachside Villas in Miami Beach is its Zen garden which stretches for 400 feet and is found within an equally impressive translucent arched atrium. Even commonly seen features like the clubhouse is also designed in a unique cone shape with watercolor glass walls. A heated swimming pool, fully equipped fitness facility and membership to to a private beach club and marina are some of the additional amenities. The Terra Beachside Villas each have a theme named after an element: fire, water, earth and wind. Fire residences emphasize privacy, the earth homes have private gardens, water emphasize space while the wind residences are the penthouses. You can walk to the beach or continue north and south and admire the oceanfront coastline. If you continue south on Collins Avenue you'll eventually reach Lincoln Road and the South Beach area, the latter home to the very popular Ocean Drive. To the north are several parks and the village of Bal Harbour which has high end shopping.